Using the same contact-centre platform across Europe has enabled the credit management firm Intrum to optimise its day-to-day operations. The aim is to outsource the operation and development of the platform so as to be able to deliver a better customer experience. “Advania will handle application operations across Europe, where just over 6,000 employees in the contact centres will seamlessly communicate with individuals and companies about their late payments. In addition, we are entering into a strategic partnership with Intrum and developing customer services so that they function optimally across all the different channels. It’s a new and fun business-oriented step for us,” explains Pär Lindström, Communications Centre Customer Manager at Advania. Intrum has already implemented the system Pure Connect in Denmark. It will be up and running in Sweden, Finland, the UK and the Baltics by February next year. Once every country is using the same system, there will be around 24 countries in Europe and 6,000 agents that will be able to communicate seamlessly in everything from ordinary phone calls to chat, WhatsApp and Messenger. “The aim is to minimise the number of solutions for our contact centres, while at the same time outsourcing the development and optimisation of the system. 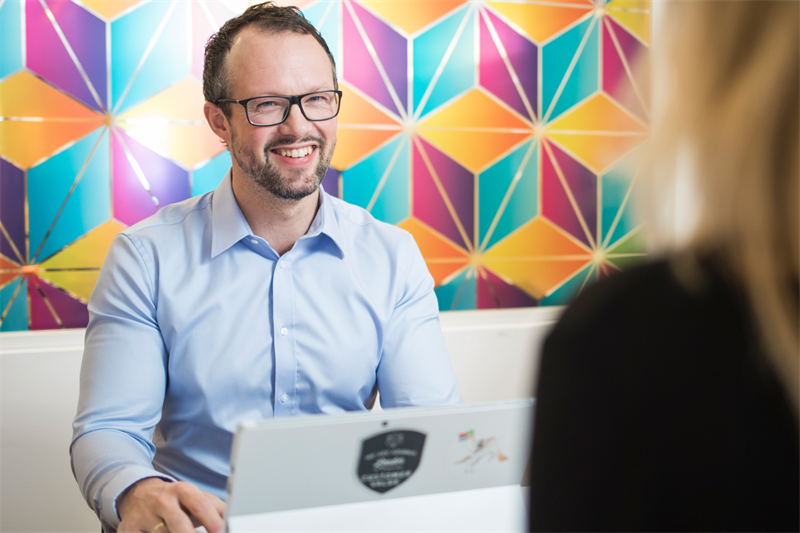 This will enable us to save money and focus on what we’re good at – helping companies and organisations get paid and individuals to become debt-free,” says Juuso Rantasalo, Business Development Manager at Intrum. By choosing Pure Connect, Intrum has gone from having different local solutions in each country to a common online and digital-based contact-centre platform. The platform provides functions for chatbots and instant messaging for Facebook and Twitter. All the functionality is built into the platform so that there is no need for third-party providers. Advania is responsible for supplying and operating the platform, plus applications and function development. The agreement was signed on 1 February 2019 and will run for three years with an option for extension.